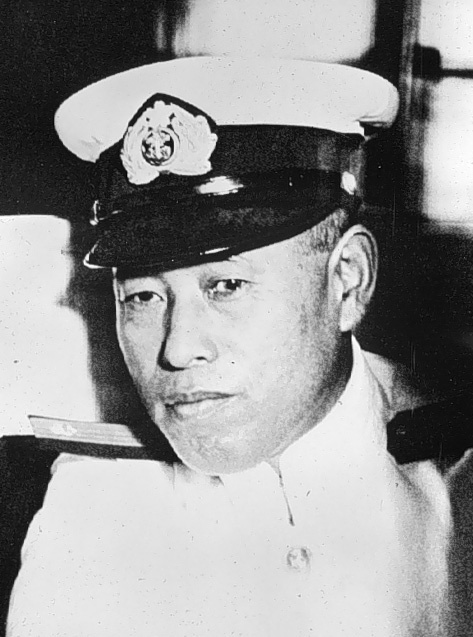 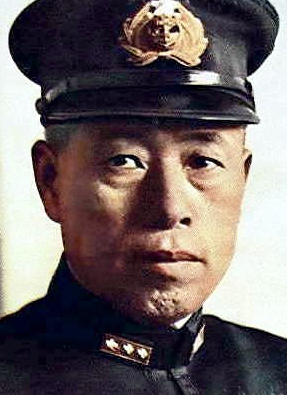 Admiral Isoroku Yamamoto was still attempting to digest the calamity that had befallen Admiral Nagumo’s carrier task force. 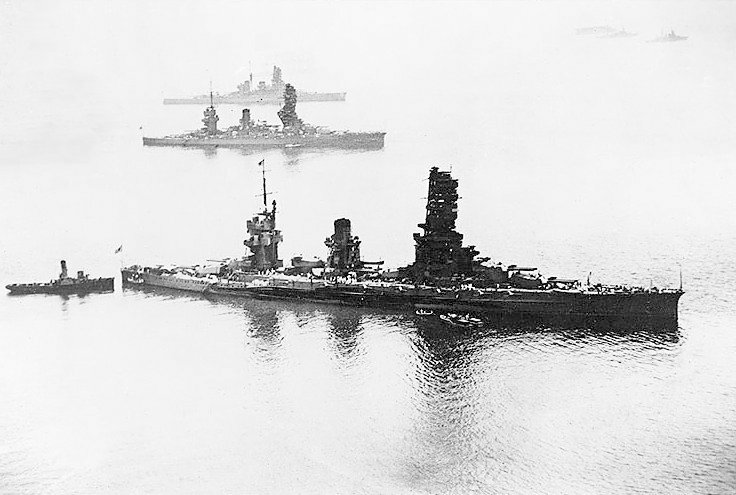 In the shocked atmosphere of the mighty Super Battleship Yamato’s command center the Staff of the Combined Fleet was hastily attempting to arrive at a solution which might reverse the disaster and bring victory. 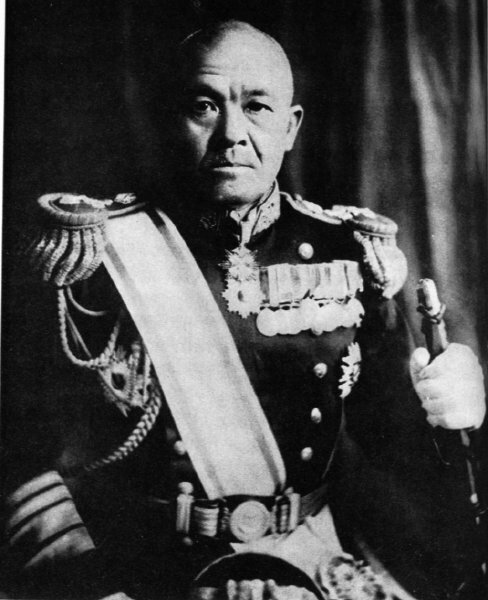 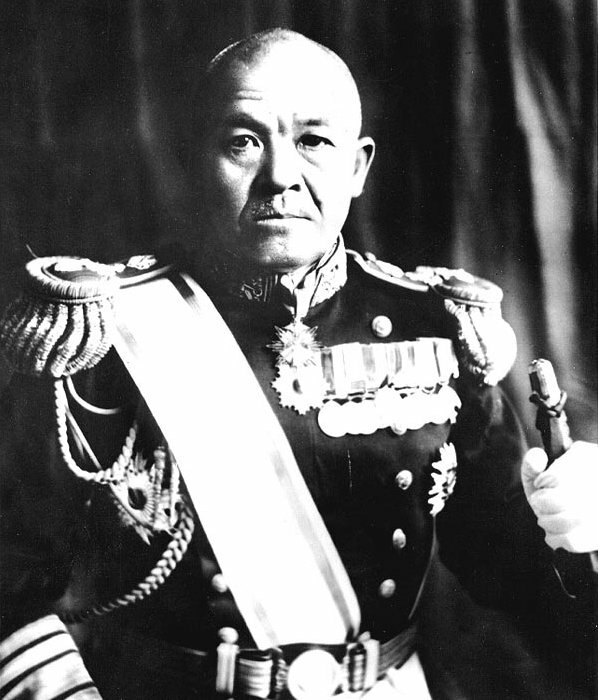 Admiral Ugaki, Yamamoto’s Chief of Staff despite his personal doubts ordered Vice Admiral Nobutake Kondo to prepare for a night surface engagement with the US Fleet and to dispatch a strong surface force to bombard Midway in order to prevent the Americans from reinforcing it and to prevent its further use against his forces should the invasion move forward. 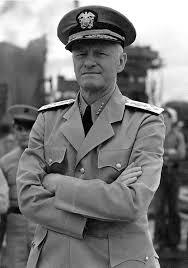 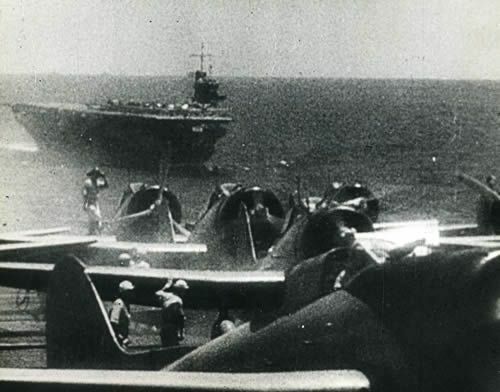 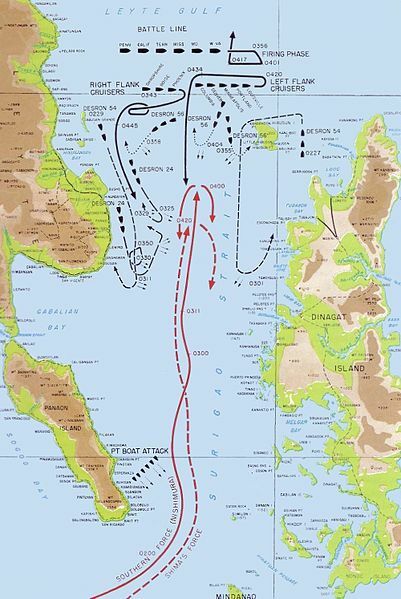 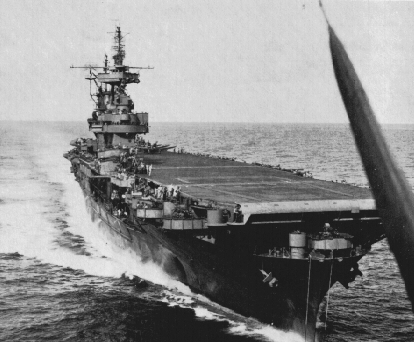 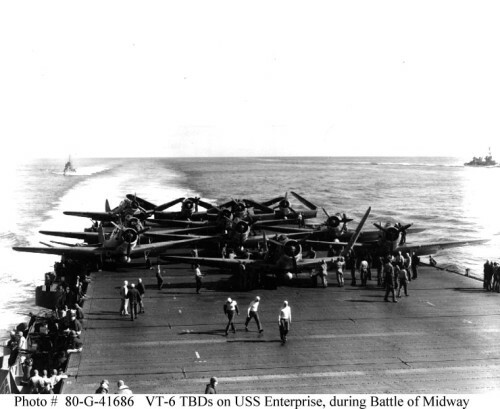 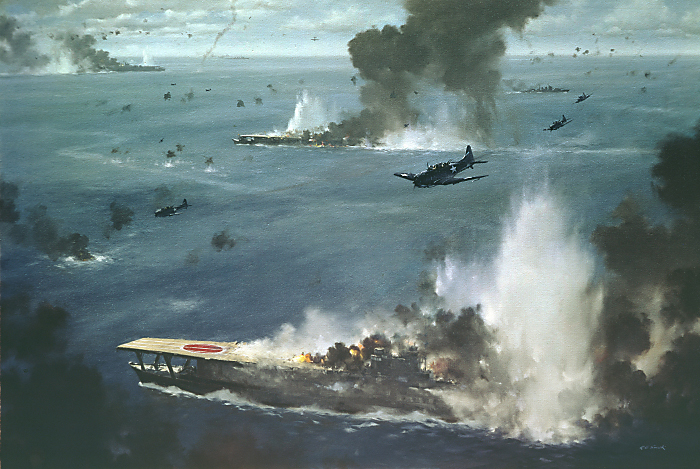 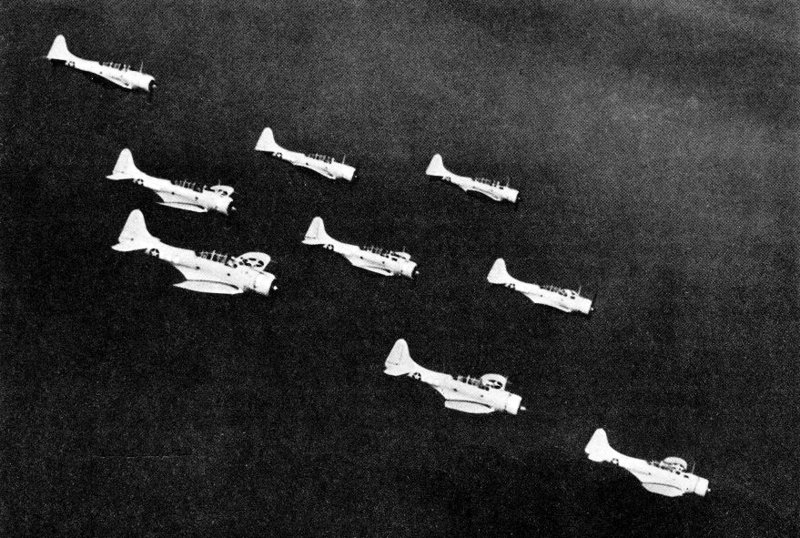 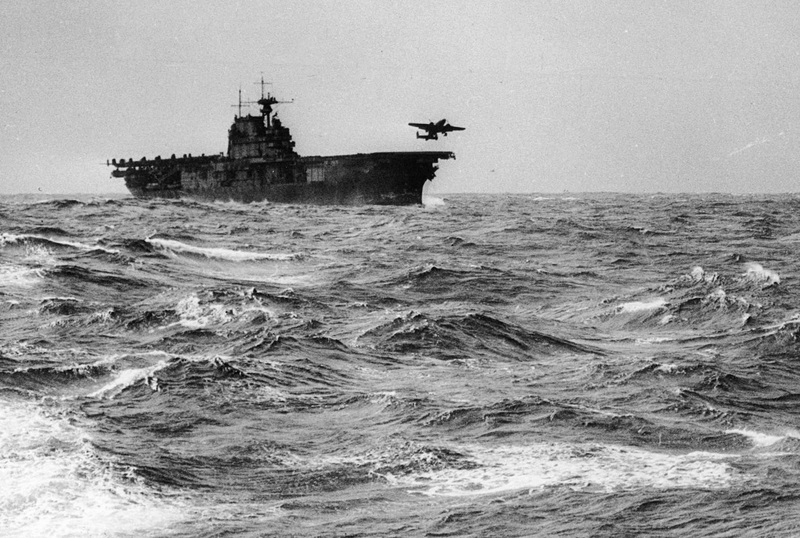 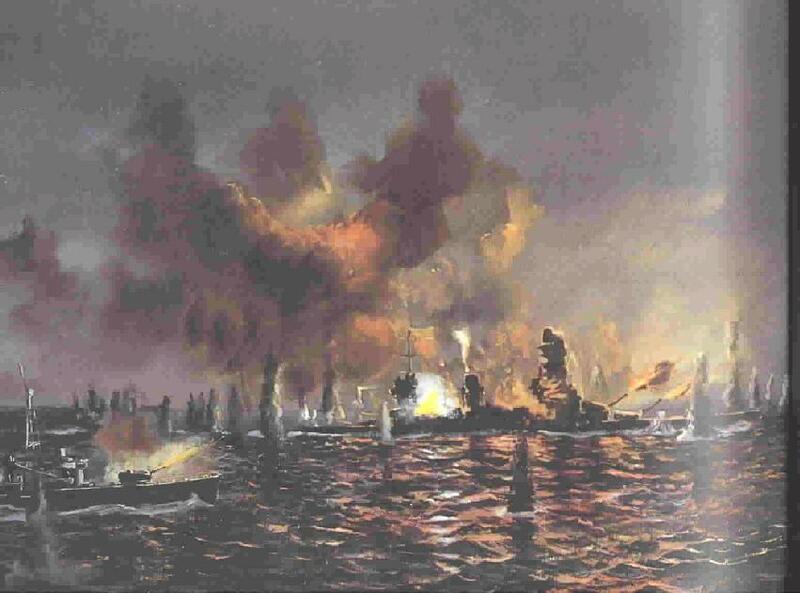 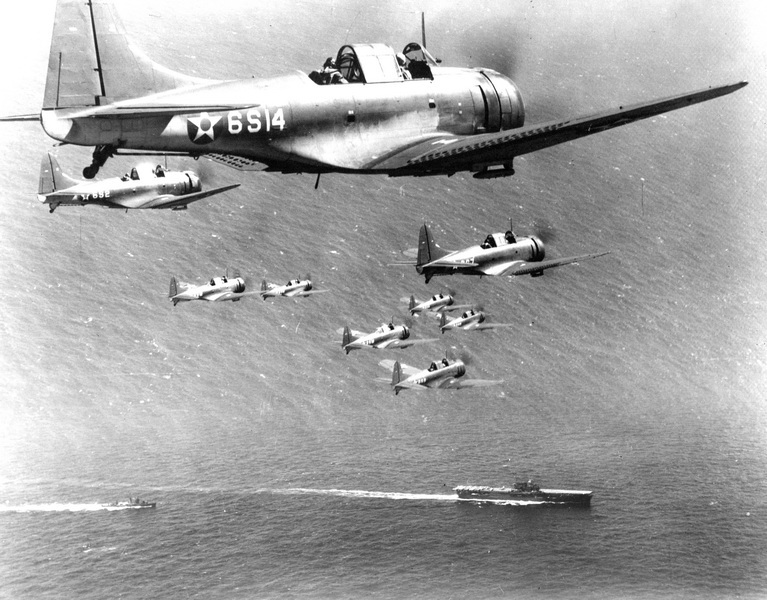 Kondo organized his fleet to attempt to find the American carriers and bring them to battle before dawn. 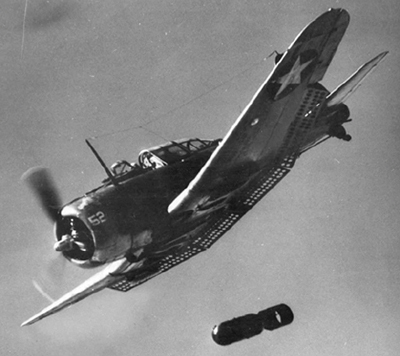 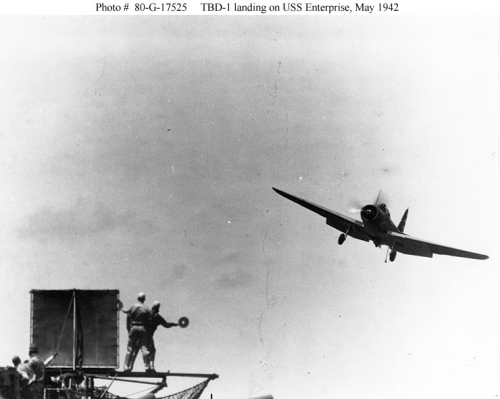 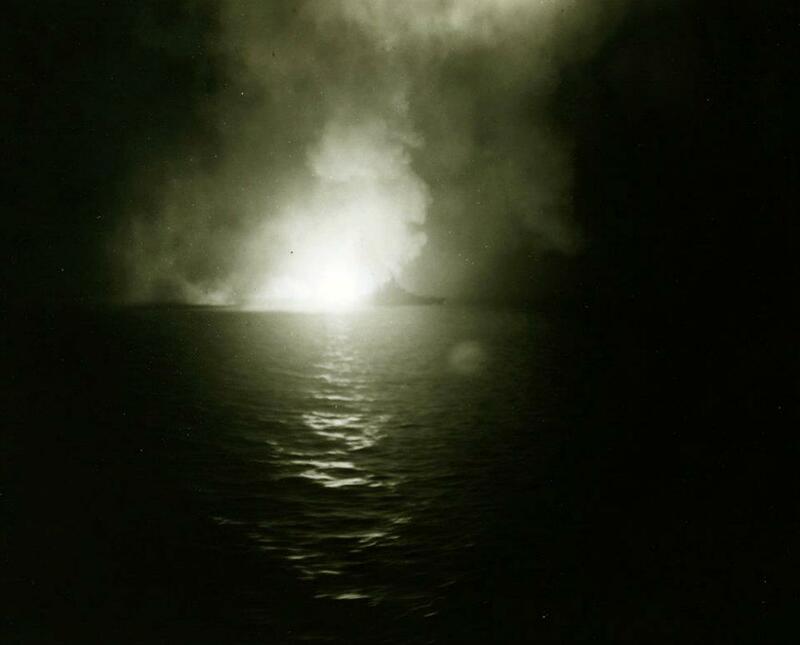 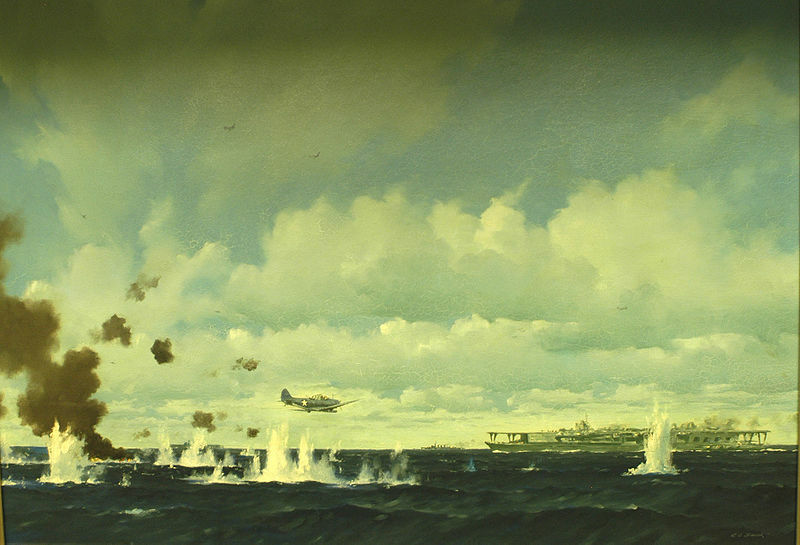 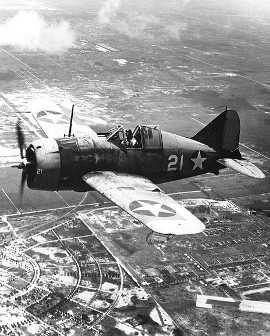 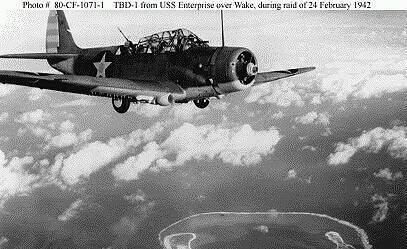 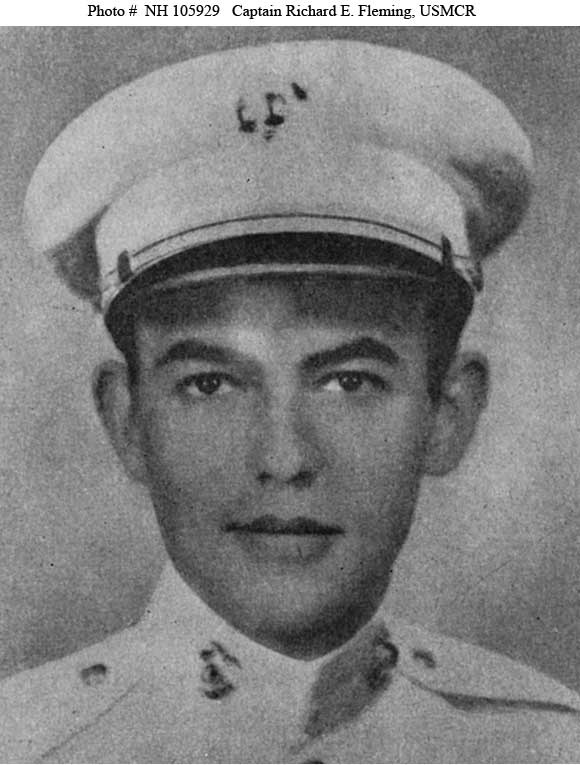 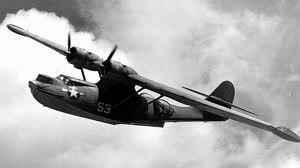 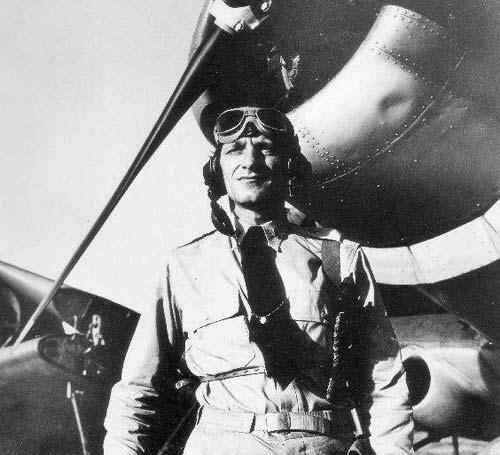 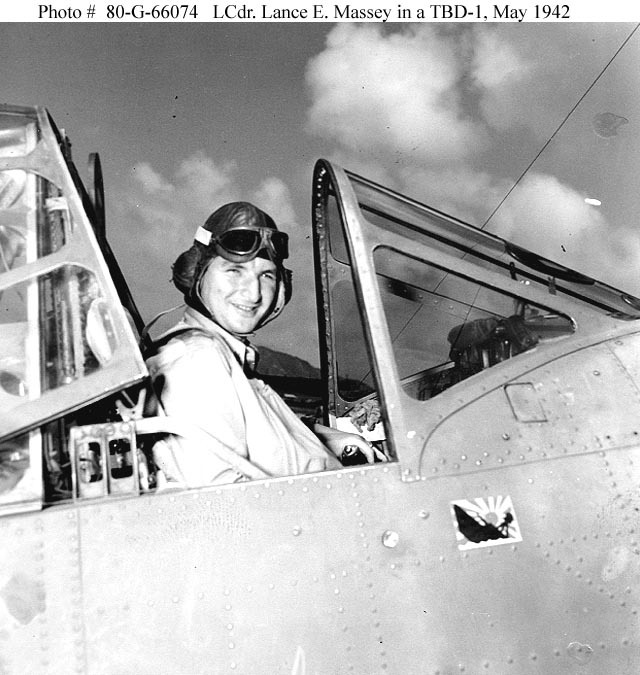 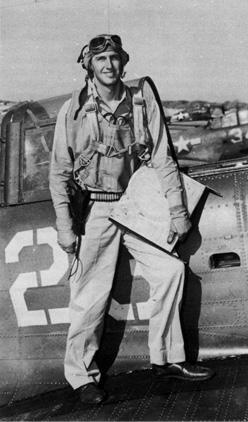 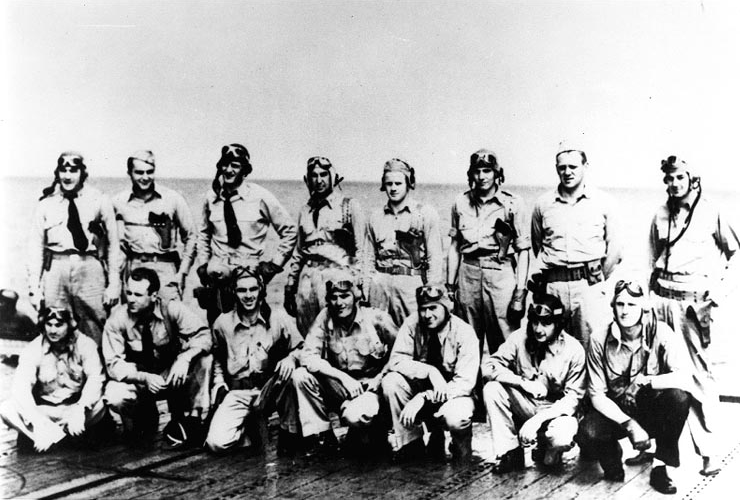 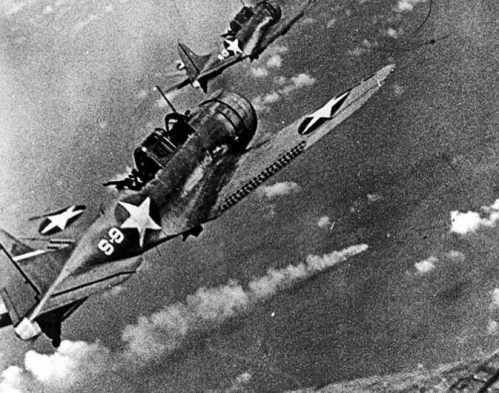 Tambor’s skipper LCDR John W Murphy sent a contact report at 0300 reporting “many unidentified ships.” He followed this with more detailed information and the Americans on Midway began to launch its remaining serviceable aircraft to attack the threat. 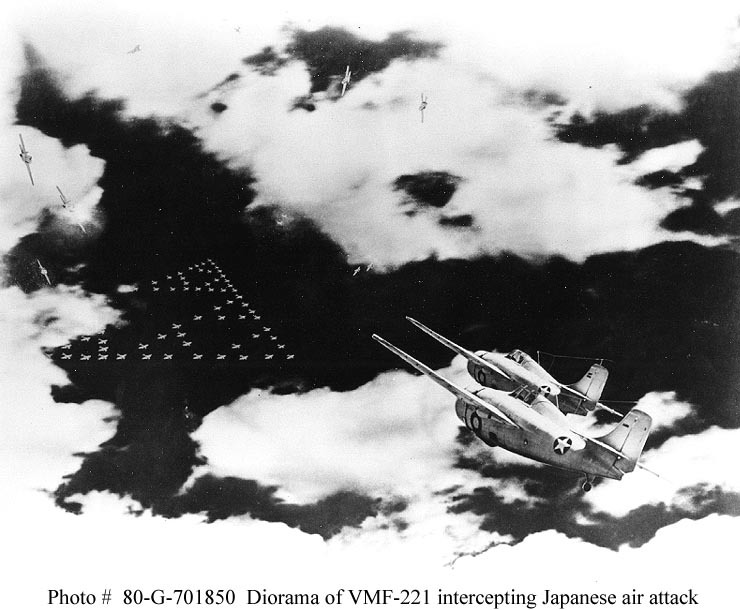 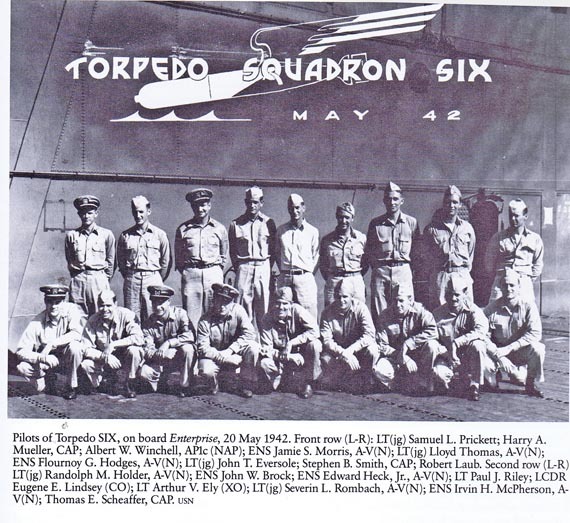 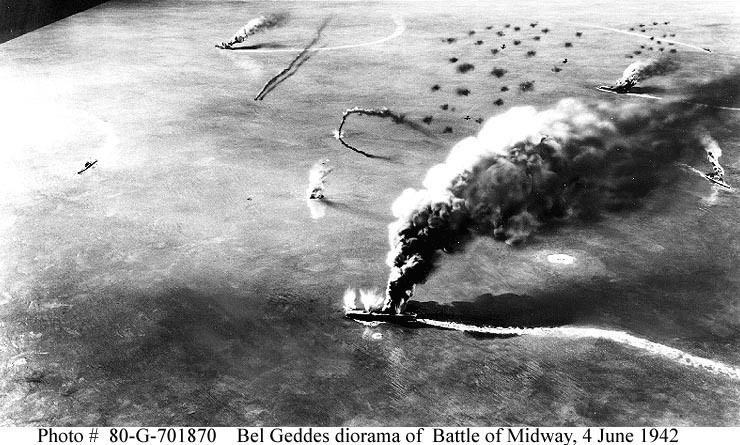 A flight of B-17 Bombers launched at 0430 could not find the Japanese ships but at 0630 a PBY Catalina found the Japanese and radioed Midway “two Japanese battleships streaming oil.” The remaining 12 aircraft of VSMB-241 under command of Captain Marshall Tyler a mix of SBD Dauntless and SB2U Vindicators took off at 0700. 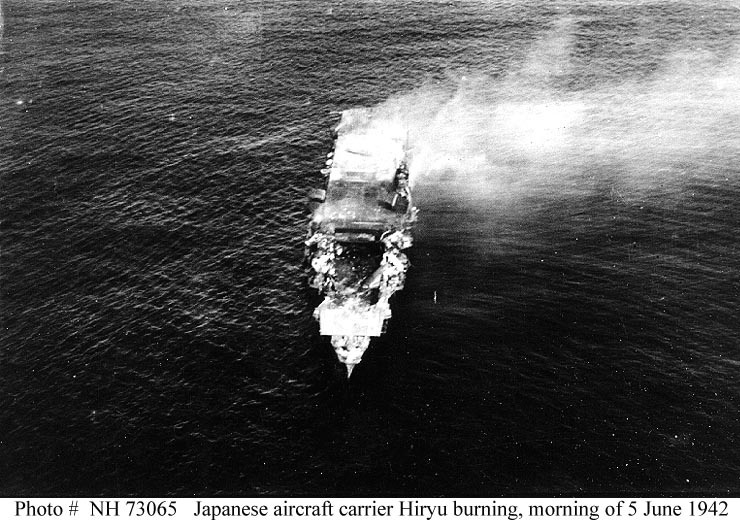 His force attacked at 0808 scoring no hits but Captain Richard Fleming, his Vindicator on fire dropped his bomb and then crashed his aircraft into Mikuma’s after turret. 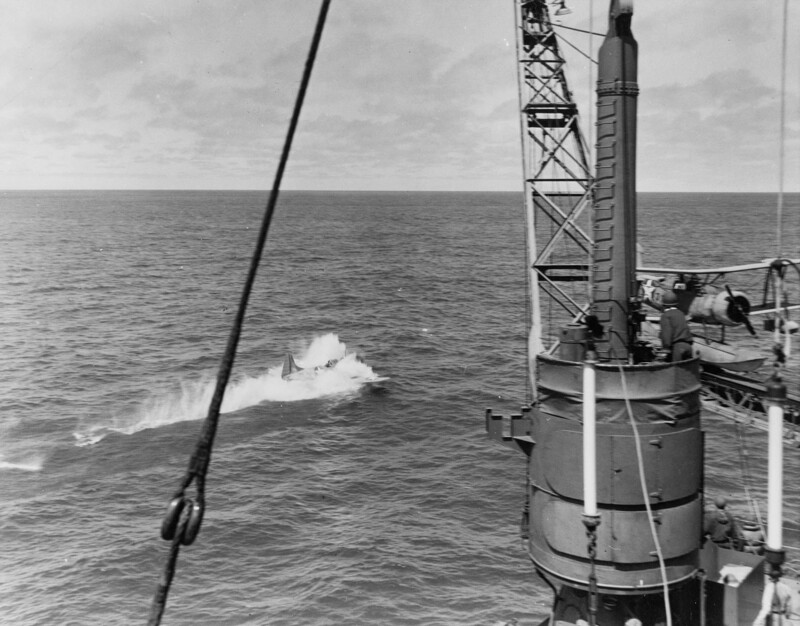 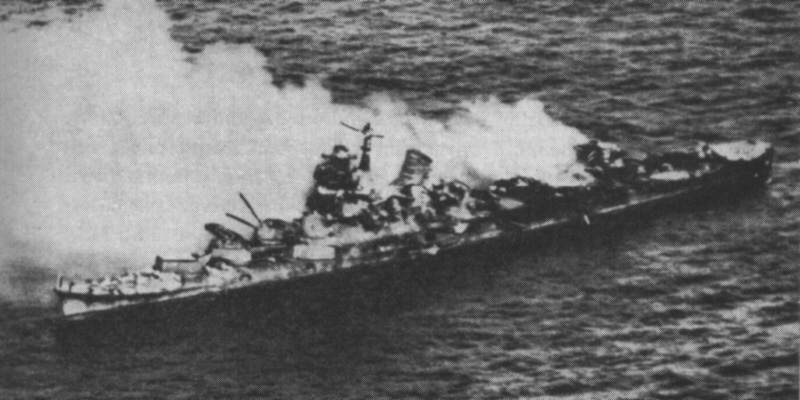 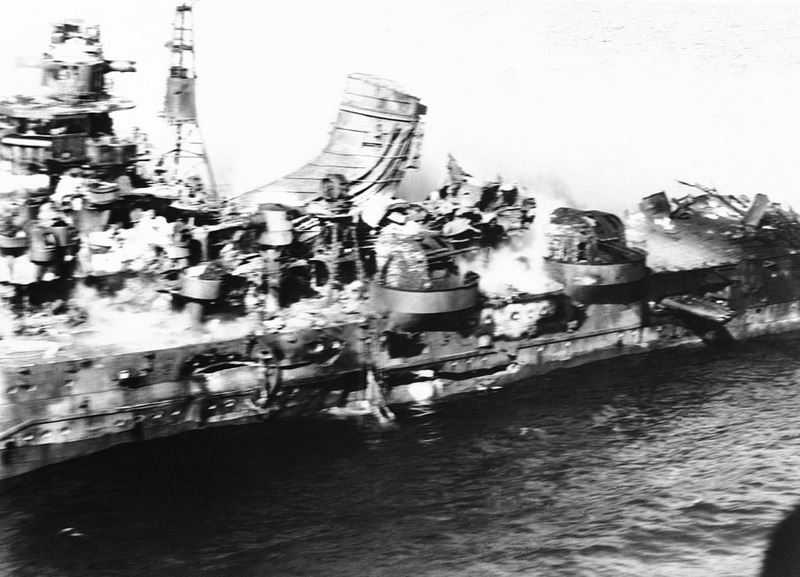 The fire was sucked down air intakes into the starboard engine room with disastrous results. 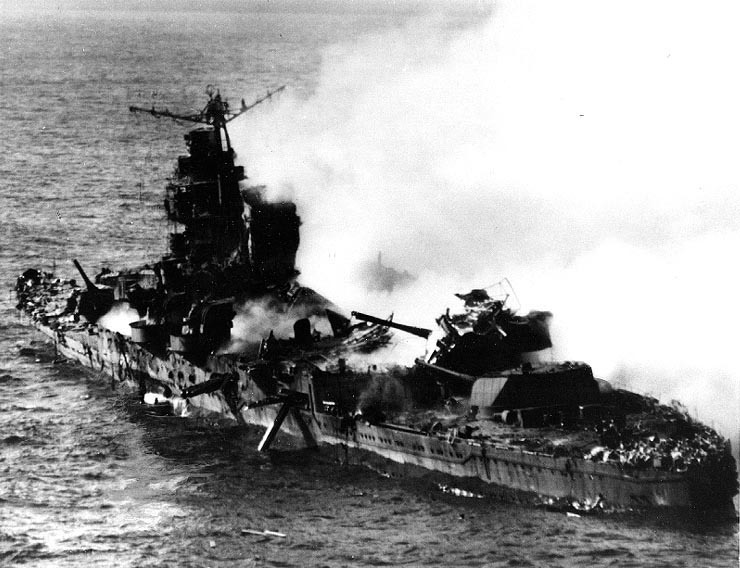 The engineers were suffocated by the smoke and fumes and Mikuma was greatly reduced in speed. 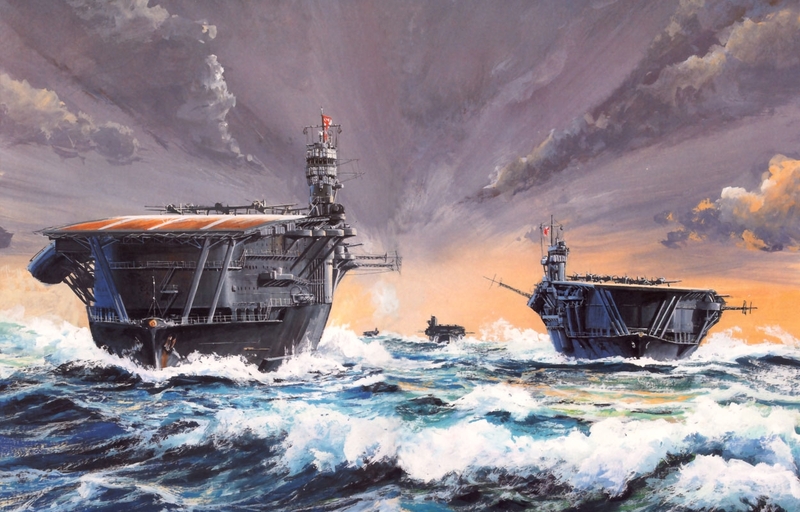 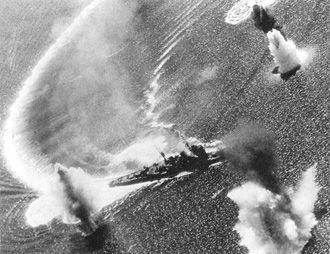 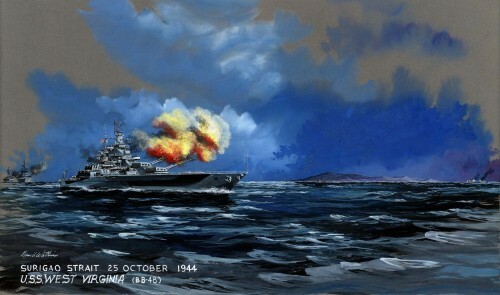 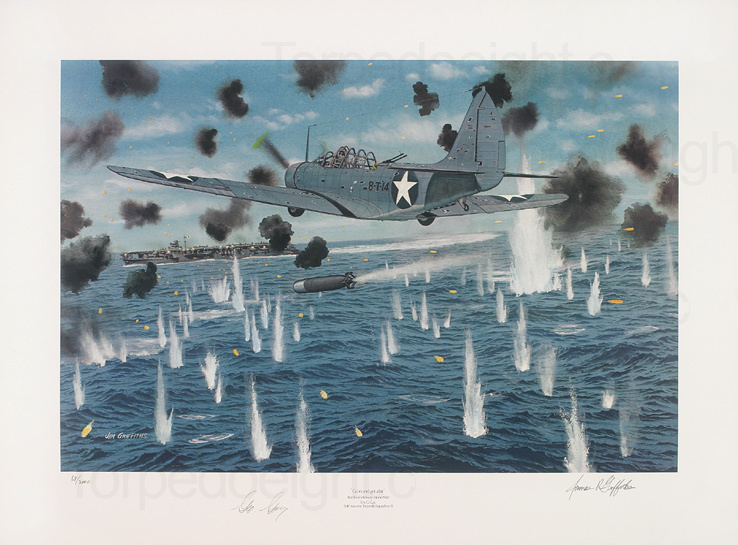 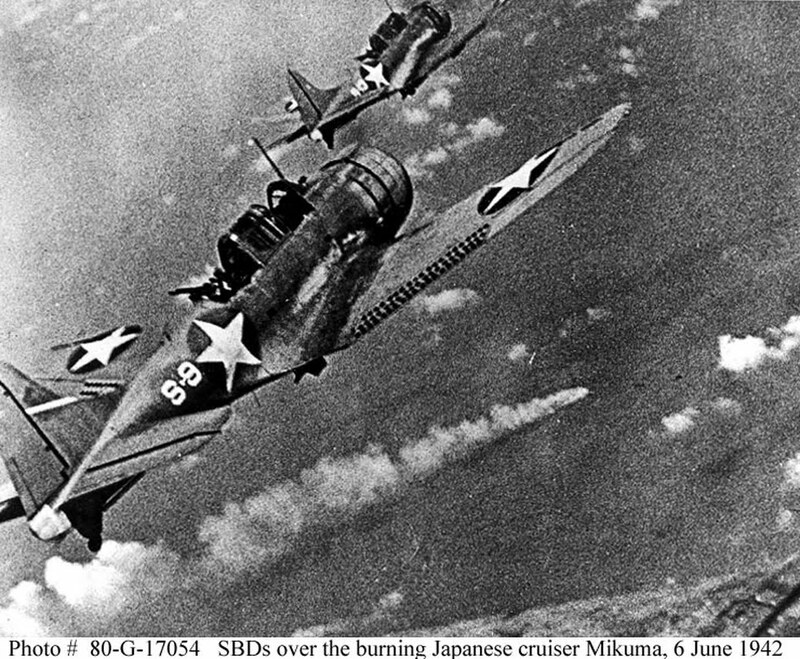 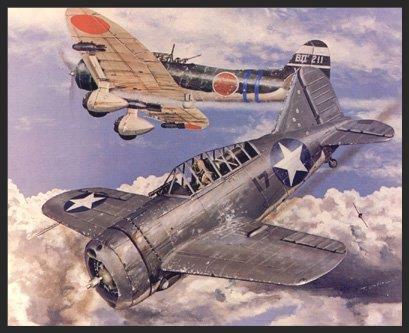 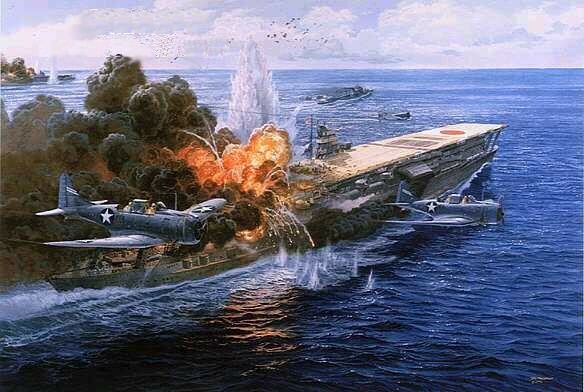 For the Americans it was a fitting end to the Battle of Midway and revenge for the Battle of the Sunda Strait where Mikuma and Mogami sank the USS Houston.